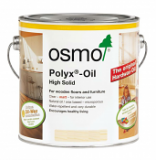 OSMO Polyx Professional Color Oil is a high quality, solvent-free stain designed for professional contractors. Until mid-20th century times, wood floors and other wood surfaces on the interior of a building were commonly treated with natural oils and waxes which hardened the surface, brought out the beauty of the wood, and provided tough protection. These finishes were eventually replaced by products that relied on petrochemicals – VOCs – to speed up the drying process, which enabled professional applicators to fit more jobs into their work week. 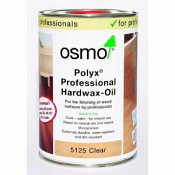 Polyx Professional Hardwax Oil from OSMO is a modern version of those traditional finishes that is VOC-free, but allows 2 coats to be applied in a single working day. 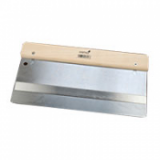 The product penetrates deeply beneath the surface to bind to and harden the wood grain, while also providing a thin surface film that is buffed up by the applicator/installer. 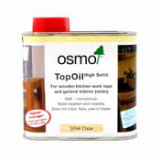 This product is designed to protect a wood or cork floor, without altering its natural appearance. Polyx Oil will not crack, flake, peel or blister. As the finish wears over time, it can be seamlessly spot-maintained. Eligible for LEED credits for IAQ and as a rapidly renewable resource.